This week we have a wonderful color challenge at the CAS Colours & Sketches and the Design Team has some wonderful inspiration to get you started. So, show us what you can do with these great colors. With Spring having sprung and all the pretty flowers not far away, I thought a butterfly would be a great way to use these colors. While it isn't showing well, the layer behind the vellum butterfly is Rich Razzleberry. A wee bit is peeking out just at the top edge of the butterfly. For all the challenge details and to share your project, visit the CAS Colours & Sketches Challenge by clicking the image below. We'd love to have you join us. You have until Monday, April 9th at 6:00 p.m. Central Daylight Time to link up your project. Thanks, Bev! I don't use that Timeless Textures stamp set often but I do like the way it looks. That is a fabulous butterfly. Lovely card. I like the vellum overlay on the butterfly. 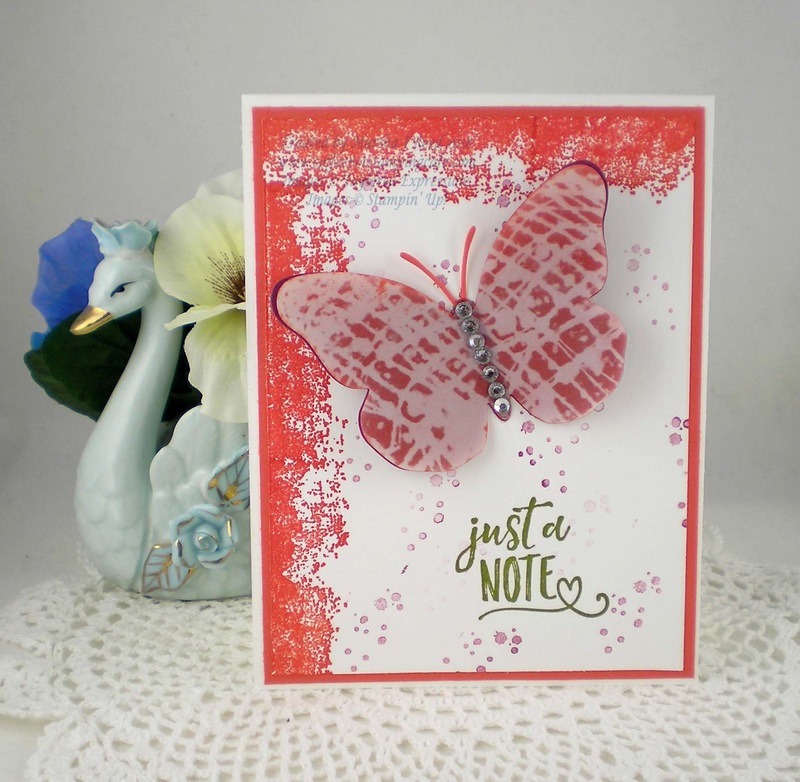 Love the treatment you gave to your card base - that white is fabulous, Marsha. Great idea to use the vellum, too!